Rally Racing News Leader in the USA | Rally World News Rally World News: Ken Block and Codemasters introduce gymkhana mode for the upcoming Dirt3 video game, revolutionizing driving sims in the process. 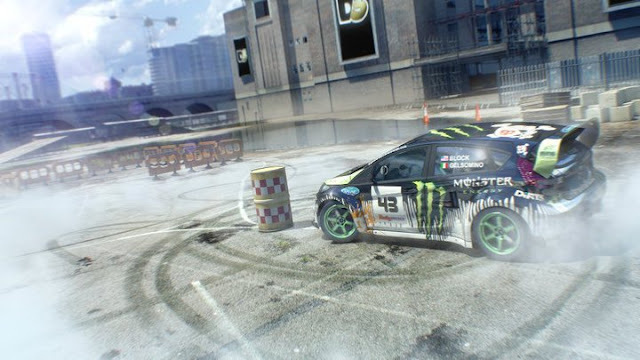 Ken Block and Codemasters introduce gymkhana mode for the upcoming Dirt3 video game, revolutionizing driving sims in the process. Ken Block and Codemasters are ushering in a new era of gaming for the driving simulation arena with their introduction of Gymkhana Mode to the upcoming Dirt3 video game. In addition to the traditional rally racing format that the previous installments have included, Dirt3 will now let gamers mimic Ken Block’s Gymkhana style driving as seen in his hugely popular viral video series which has garnered more than 90-million views online. Working with the Codemasters team, Block himself was able to lend his expertise as a technical consultant during the development of the game, helping create an experience that embraces the free spirit of Block’s gymkhana driving style. Taking place within an area of Dirt3 known as the DC Compound—along with two other gymkhana-specific levels in the game—Gymkhana Mode in Dirt3 is the first driving simulator that doesn’t put an emphasis on everyone driving the same, repetitive lines over and over again. Instead, the focus is on how well you can imitate Mr. Gymkhana himself as you navigate your way through the DC Compound, sliding, jumping and rotating your way to satisfaction in Block’s own Gymkhana THREE Ford Fiesta. Additionally, users will have access to a selection of other vehicles with which to gymkhana, along with the ability to play in split-screen mode or online against friends in either a trick-format freestyle mode, or an open joyride mode. There will also be levels that feature competition events similar to Block’s own Gymkhana Grid competitions and an ability for players to create their own in-game footage highlight reels, similar to the Dirt3 Gymkhana Mode trailer released by Codemasters (see link below). Teaming up with Codemasters and the Dirt franchise of video games two years ago was a natural fit for Block. For 2011, the relationship continues to evolve as seen with the upcoming release of Dirt3, which in addition to the Gymkhana Mode, contains more rally content than ever before. 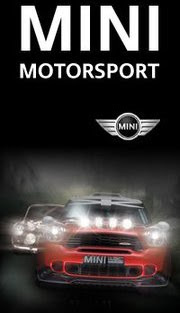 Dirt3 is slated for a Q2 release.